As the summer heat comes to an end,* I thought you might enjoy this repeat porch from July 2012. 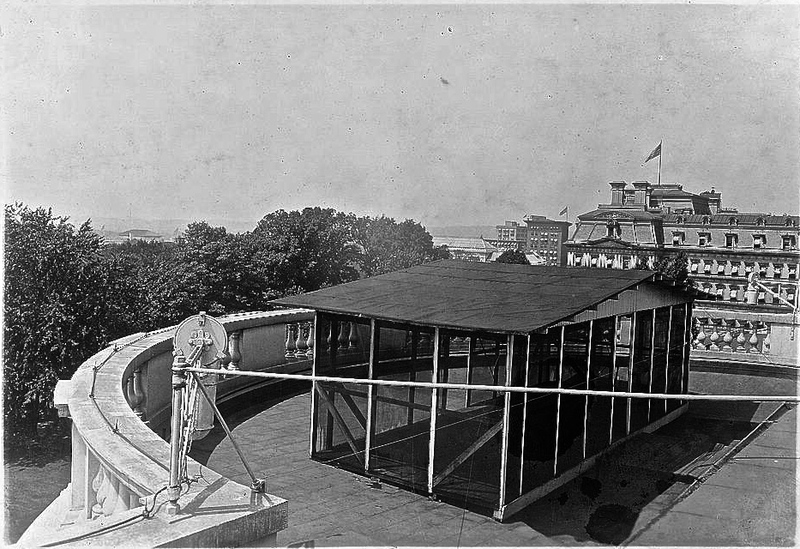 This sleeping porch for hot summer nights was added to the roof of the White House during the Taft Administration (1909 – 1913). Photo by National Photo Company, via Library of Congress. It’s a little funny to think of the country’s first family climbing up to the roof to bed down in what is basically a shed with screened sides. Click here to read more about sleeping porches. *Fall officially begins on Tuesday in the northern hemisphere.